'Below the surface, things are quite busy.' 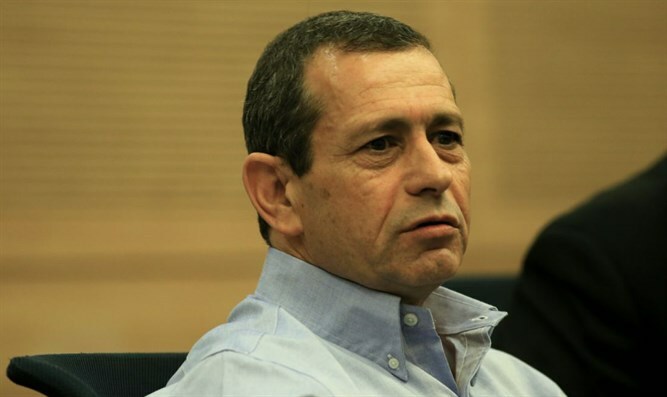 Shin Bet Chief says 400 significant attacks thwarted in past year. Shin Bet Chief Nadav Argaman appeared this morning before the Knesset Foreign Affairs and Defense Committee as part of summing up year 2017. Argaman told committee members, "The Palestinian arena in the past year has not been stable, and certainly is not at this time; neither in the Gaza Strip nor in Judea and Samaria, and certainly after Trump's declaration. "Below the surface, things are very busy. Hamas is trying in every way to carry out attacks from Judea and Samaria and undermine stability," Argaman added. The head of the Shin Bet told committee members that during the past year the Shin Bet prevented 400 significant attacks. Of the attacks that were prevented, 13 were suicide bombings (pigua hitabdut), 8 were kidnappings, and 94 were defined as "martyrdom attacks" (pigua hakrava), in which the terrorist does not actively commit suicide with an explosive belt, but rather plans a murder campaign by shooting, ramming, etc., and from which he estimates he will not emerge alive. In addition, about 1,100 potential attacks by isolated terrorists were thwarted. 54 individual attacks were successful in 2017, compared with 108 attacks of the same type that were carried out last year.